How to Supplement Your Clinical Income with Lucrative Home-Based Work, October 17, 2019 Chicago, IL - SEAK, Inc. There are numerous proven categories of home-based work that you can perform to significantly (and often dramatically) supplement your clinical income.This survey course provides an introduction to: niche consulting, writing/teaching, medical-legal consulting (expert witnessing and IMEs) and performing file reviews. For each of the above activities physicians will learn about the advantages and disadvantage of the work, what exactly physicians are expected to do, how much the work can pay, how to obtain the work, and how to excel at the work. In addition, for each of the above activities physicians will learn how to use the experience gained to position themselves for high paying non-clinical jobs. The material in this preconference is not covered in the main conference. • List potential niches in which you could serve as a consultant. • Explain ways to monetize your subject matter expertise through teaching and writing. • Form and prepare an action plan to supplement your clinical income with lucrative home-based work. can position a physician for full time non-clinical employment. Location/Hotel Accommodations: Non-Clinical Careers for Physicians will be held at the Crowne Plaza Chicago O’Hare Hotel & Conference Center in the Village of Rosemont, IL. This full service “fly in fly out” property is easily accessible to Chicago’s O’Hare airport and provides complimentary 24 hour shuttle service to and from O’Hare Airport. SEAK has secured a special group rate of $149/night for single occupancy. Rooms are limited and this rate expires on October 9, 2019. To make your reservations, please call 877-337-5793 and refer to the SEAK Group rate. To make your reservations, please call 877-337-5793 and refer to the SEAK Group rate or click here,code K19. Registration Information: Tuition is $495 until August 18, 2019, $545 August 19, 2019–October 9, 2019, $595 After October 9, 2019. Cancellations: Conference cancellations received in writing on or prior to October 9, 2019 will receive a full tuition refund. Persons cancelling after October 9, 2019 will receive a full tuition credit. Steven Babitsky, Esq., is a former trial lawyer who has trained thousands of physicians. He is an expert on consulting. 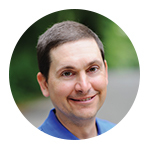 Steve is the creator of and trainer for SEAK’s highly acclaimed income supplementation training courses for physicians How to Start, Build, and Run a Successful Consulting Practice and How to Start, Build, and Run a Successful Disability and File Review Practice. Steve is himself a highly sought after consultant in the fields of negotiation, expert witness preparation and expert witness practice management and development. In addition, Steve is the co-creator of SEAK’s National Directory of Medical File Review Consultants (www.filereviewconsultants.com) – which lists over 500 physicians who perform file reviews. James J. Mangraviti, Jr., Esq. is the co-author of 31 non-fiction books whose cumulative sales have totaled several million dollars. 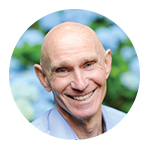 Jim’s books have been published by major publishers such as St. Martins, Aspen, Wiley, and Wolters Kluwer as well being self-published through SEAK, Inc. Jim is also a prolific teacher. He has designed and taught well over 200 continuing education courses for physicians, engineers, accountants, and other professionals. Jim is an expert on expert witnessing. He is a co-founder of SEAK’s National Directory of Expert Witnesses (www.seakexperts.com) and has trained thousands of expert witnesses. Jim designed and teaches SEAK’s highly acclaimed courses How to Start, Build and Run a Successful Expert Witness Practice and How to Be an Effective Expert Witness. Jim also maintains an active consulting practice where he works primarily with expert witnesses. A proven way to either supplement your income or transition out of a clinical career is to serve as a consultant. Consulting can be highly lucrative, most of the work can usually be done from a home office and overhead, start-up costs and risks are small. Best of all, consulting can be used to test the waters and position yourself for a new career. In this segment, attendees will be given an overview of serving as a niche consultant. Topics addressed include identifying the best consulting niches, setting (and collecting) your fee, marketing, and pleasing the client. Questions and Answers. Writing and teaching can be personally, professionally, and financially rewarding. In this segment physicians will learn how to monetize their subject matter expertise through teaching and writing. Topics covered include evaluating writing ideas, how to price and sell your work, how to obtain teaching assignments, how to produce the highest quality work, and how to market yourself. In addition, attendees will learn how to use their teaching and writing experience to position themselves for a high paying non-clinical job and/or land high-end consulting assignments. Questions and Answers. Disability and file review consulting is a growing and lucrative field. In this segment the faculty will explain what file reviewers do and the specific types of matters physicians will typically be called to work on (e.g. disability reviews, utilization reviews, pre-authorizations, chart reviews, peer reviews, and medical necessity reviews). Physicians will be introduced to the marketplace for file reviews including who typically hires physicians, how to obtain this work, how much it pays, and how to excel at this work such that they can obtain repeat business. Questions and Answers. In this segment the attendees will be introduced to the extremely lucrative opportunities available serving as an expert witness or independent medical examiner. Physicians who serve as expert witnesses typically bill themselves out at $500+ per hour. Successful expert witnesses and independent medical examiners can earn $100,000 per year extra by devoting a few hours per week to medical-legal consulting. In this segment attendees will learn what expert witnesses and IME examiners do, what they don’t do, which clinicians are best positioned to perform this work, the drawbacks associated with this type of work, and what they would need to do to start serving as a medical-legal consultant. Questions and Answers.